With last Sunday being Valentine's Day and all I booked a table for us to visit Home restaurant in Belfast. Although I really wanted to try their menu and I was being so romantic and stuff, I thought it an appropriate opportunity to break in my new brogue boots from Samuel Windsor. 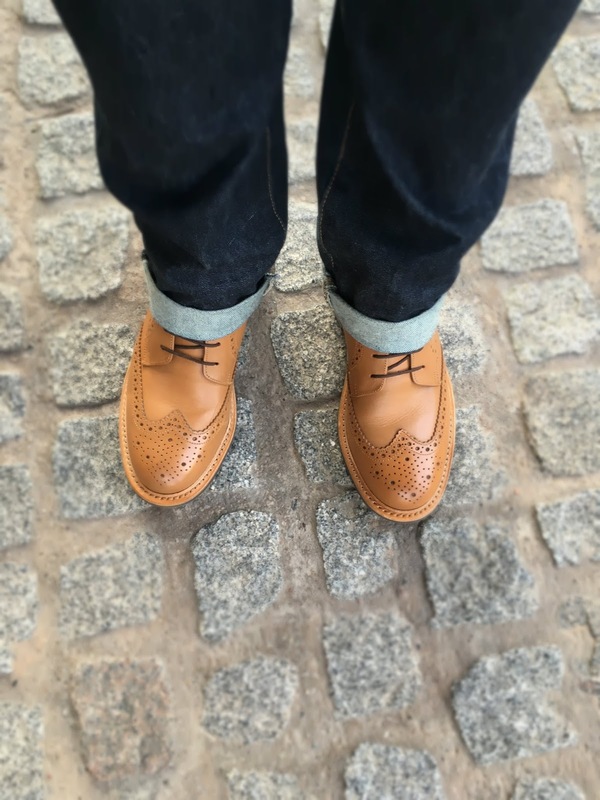 Samuel Windsor have been supporters of rogues+brogues from the very beginning. When few other companies were offering content sharing or opinion pieces, they stepped up. I was pretty naive when I first started and handed content and blog space over to companies with little or no return. The team at Samuel Windsor always made room for any of my content and I was asked for quotes or thoughts on seasonal campaigns. The company specialises in classic menswear, both formal and casual, always with a more sartorial twist. 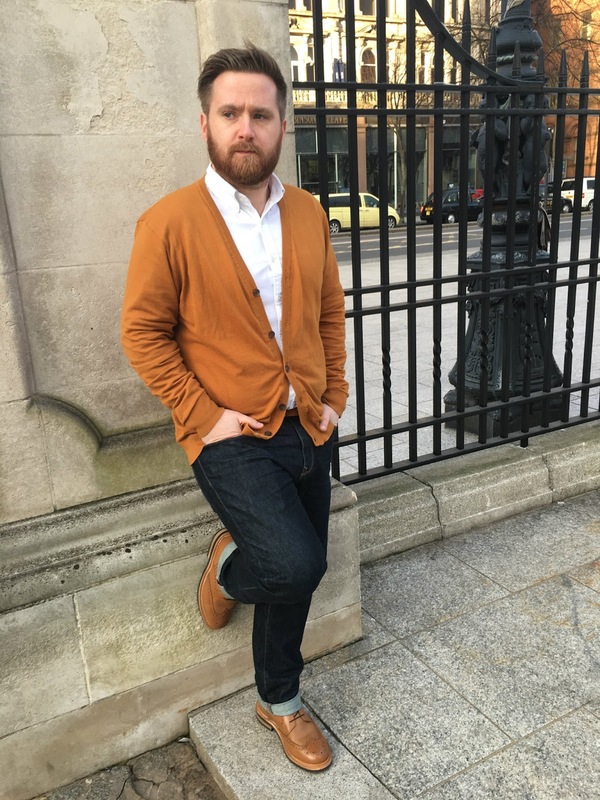 I've admired their rainbow-worthy selection of chinos and trousers for an age and their shoes offer a mix of work and weekend pieces. On top of all this, its' all damn right affordable too! 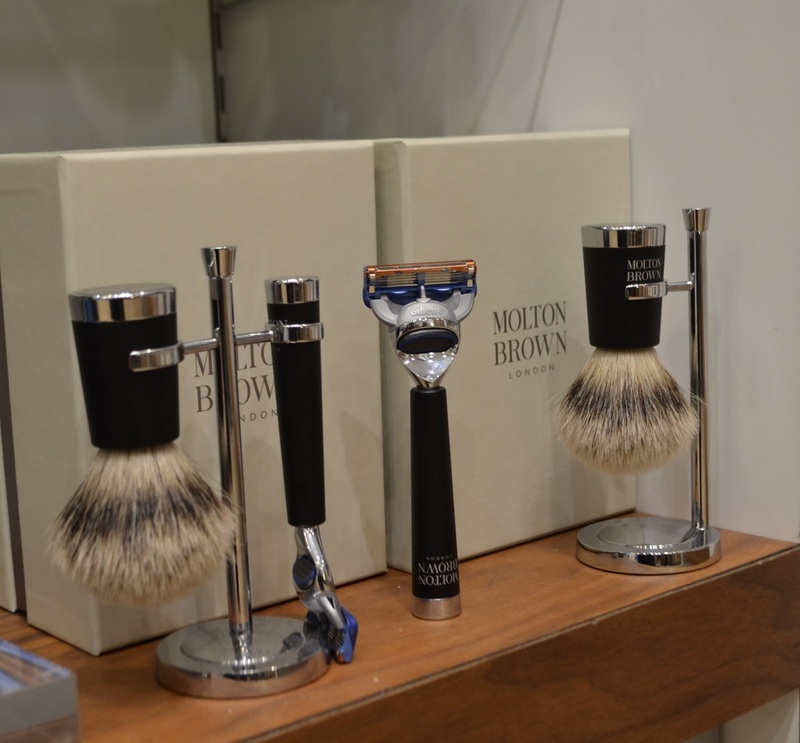 Ok chaps, so it's only a few days until Valentine's Day so if you haven't got a present, you need to motor on and sort that out. With this in mind, I thought I'd skip the gift idea part (that's up to you) and get to the crucial point; what you're going to wear. It's a cliche but it's important to dress up for certain occasions. I'm not saying you need full morning-wear here, but perhaps this Sunday is a day you leave the trainers and hoodie in the wardrobe. Taking pride and putting a bit more effort in your appearance translates that you want to look good and that you don't want to let your other half down. A lot of this season's trends are heading towards pale (not pastel) tones but this doesn't always translate as a wearable look. 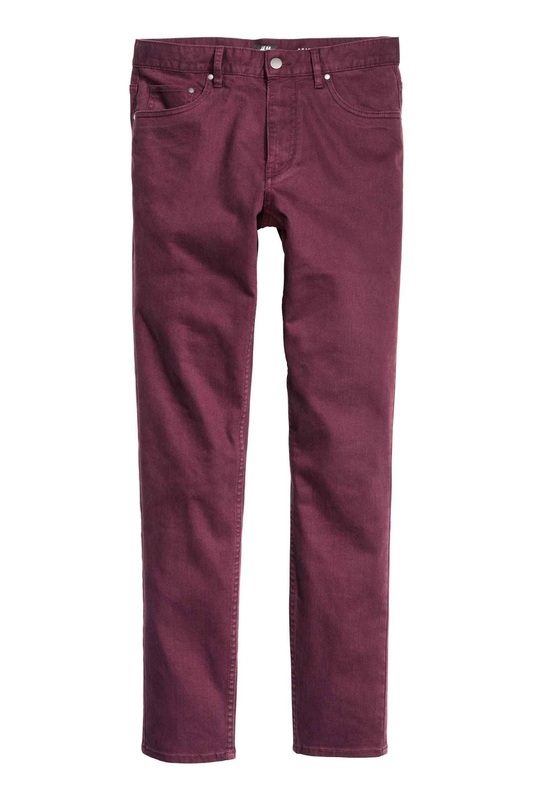 But breaking up the usual palette of navy and grey we often stick too will look more confident and considered. 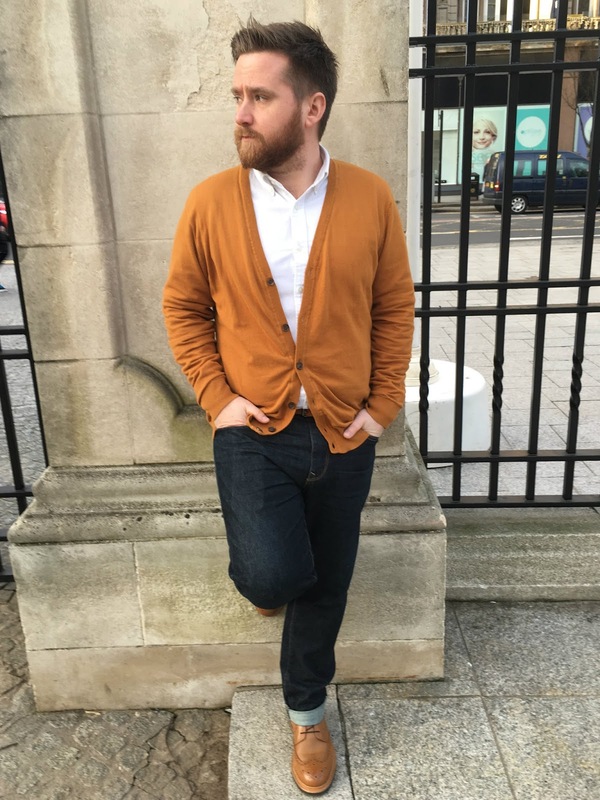 Here's my break down of a select edit of wearable and stylish additions that will work well into the coming seasons. A clean and simple tailored shirt will become your best friend. 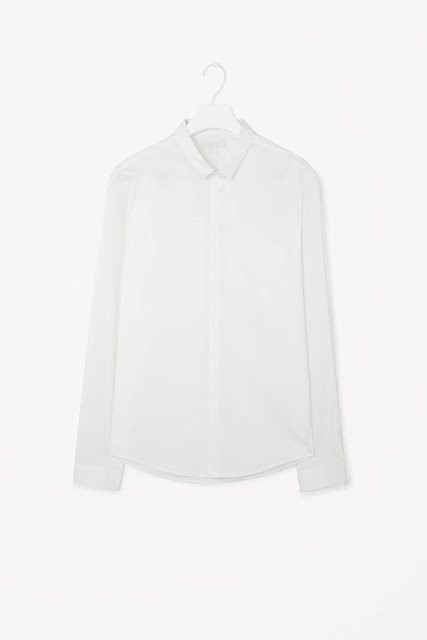 The simple press-stud at the collar and hidden placket front keeps this sleek and modern. Add some fun and interest to your look with some statement trousers. Keep your upper look pared back and let these vibrant trousers speak for you. Aim to keep them a little shorter and pair with some sleek brogues or loafers. 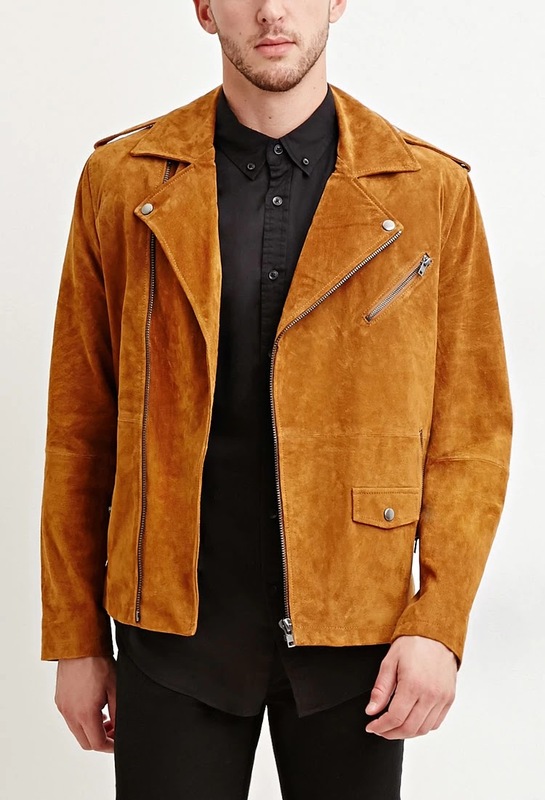 Yes, that is a genuine suede jacket for under £70.00. Yes, you are welcome. 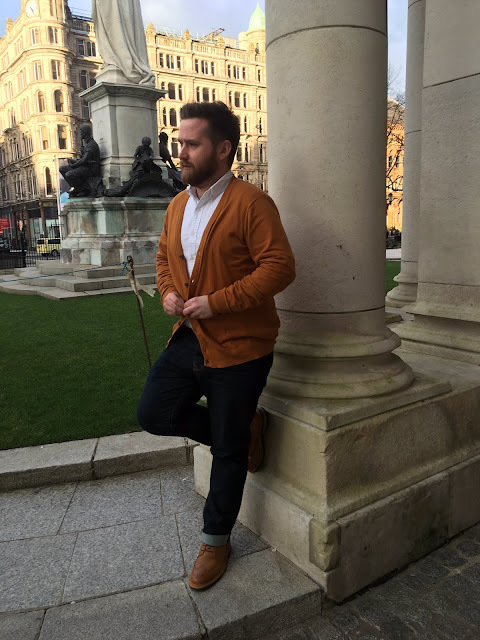 This timeless suede jacket will look amazing with dark denim. If you're not a fan of tan, there is a black alternative. 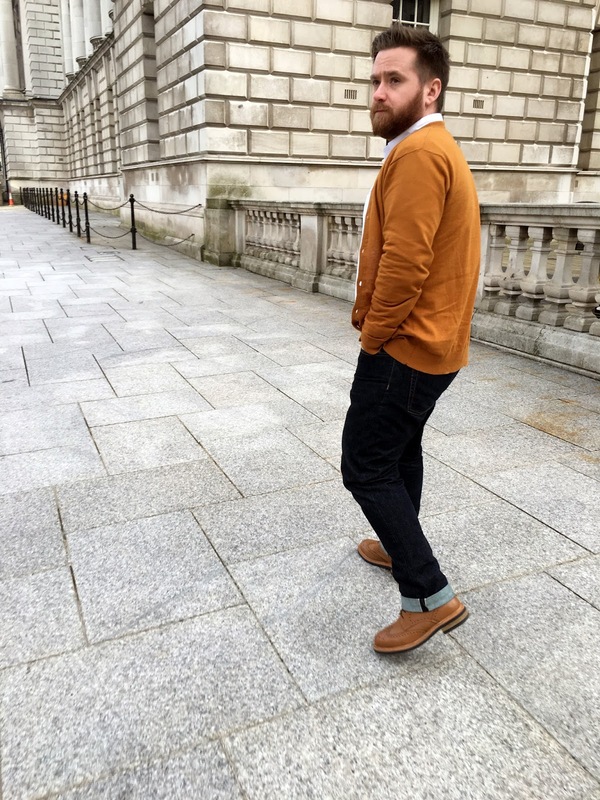 A lightweight merino sweater is a great alternative to a shirt or t-shirt. Wear it on it's own or layer up as you feel comfortable. 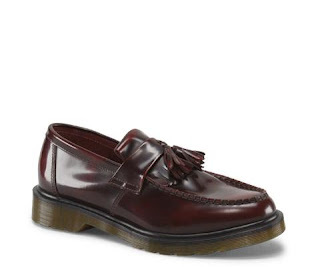 A cool choice, these slip on loafer will work perfectly with the tartan trousers from Topman. 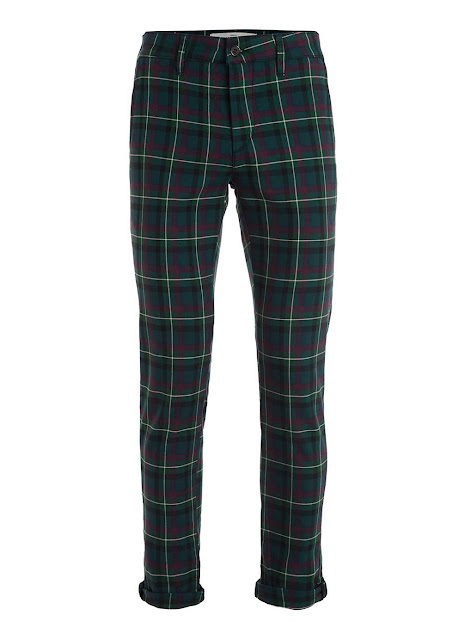 Incorporate them into your work wardrobe on casual friday and pair with slim trousers or chinos. 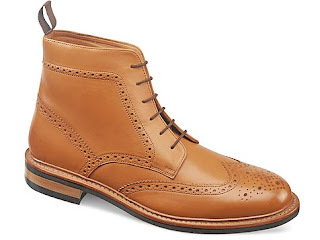 I couldn't possibly compose a list like this and not include a pair of brogues. 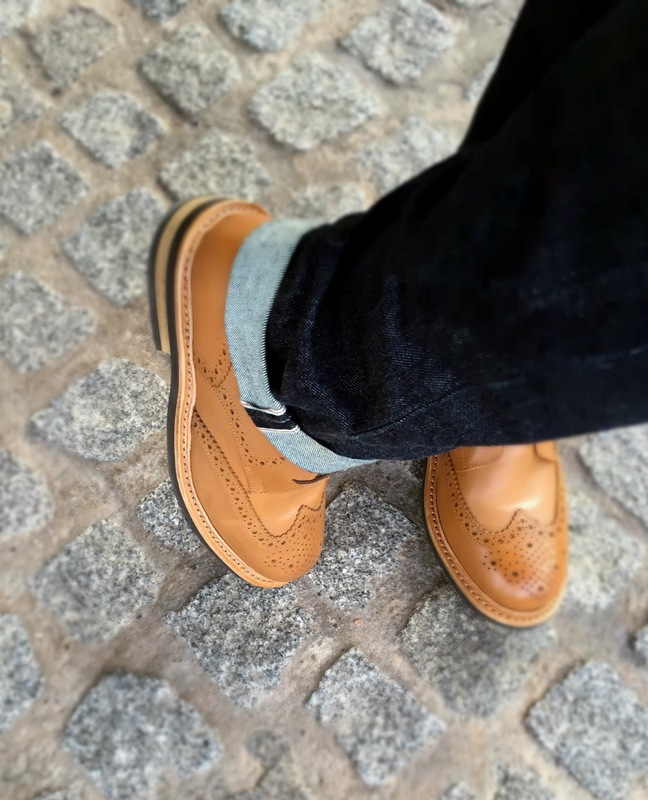 I've recently got this very pair, the light tan colour is the ideal partner for denim, grey or navy trousers. There you have it. Wherever you go this weekend, make it about the other person. 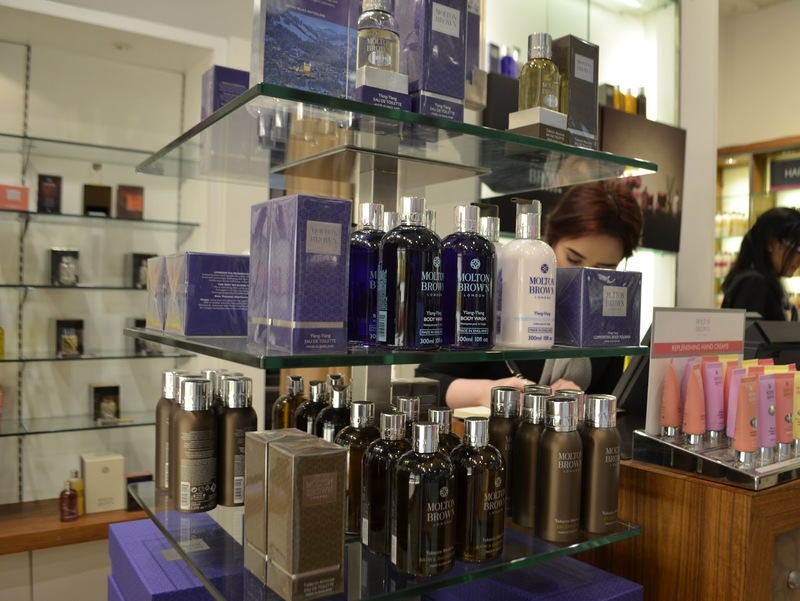 Look your best to make them feel their best. Have a great Valentine's Day! Last week the team at Molton Brown Forestside extended a very special invitation to their store. 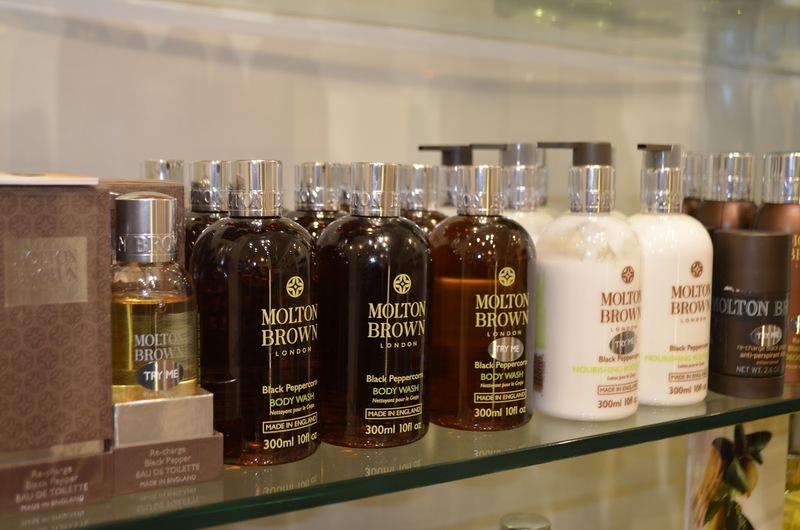 I have been a sporadic Molton Brown shopper over the years, usually picking up a bottle or bar of their Black Peppercorn body wash and soap. 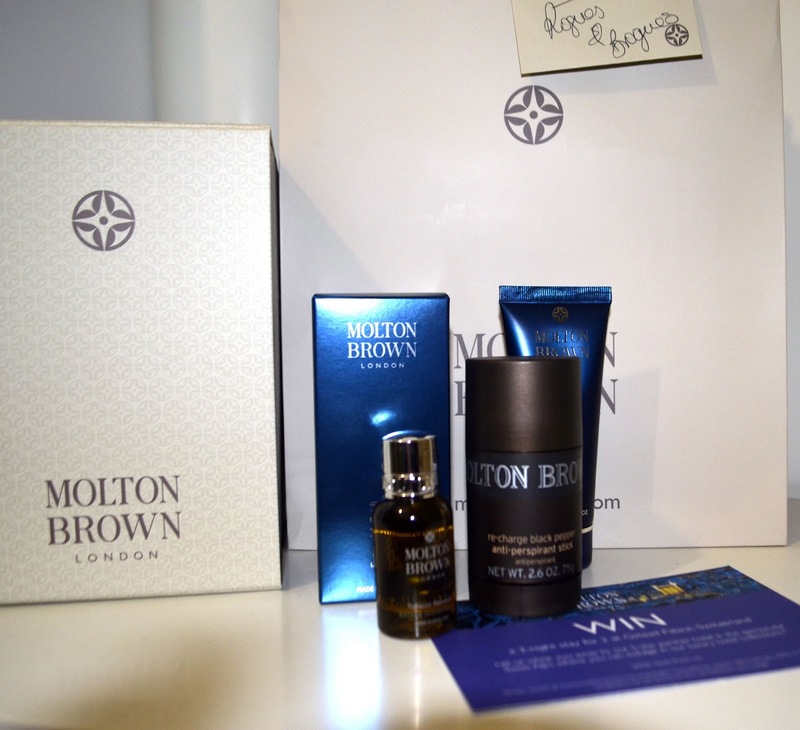 The subtle scent is understately masculine and I have bought it for gifts and as an occasional treat for myself. 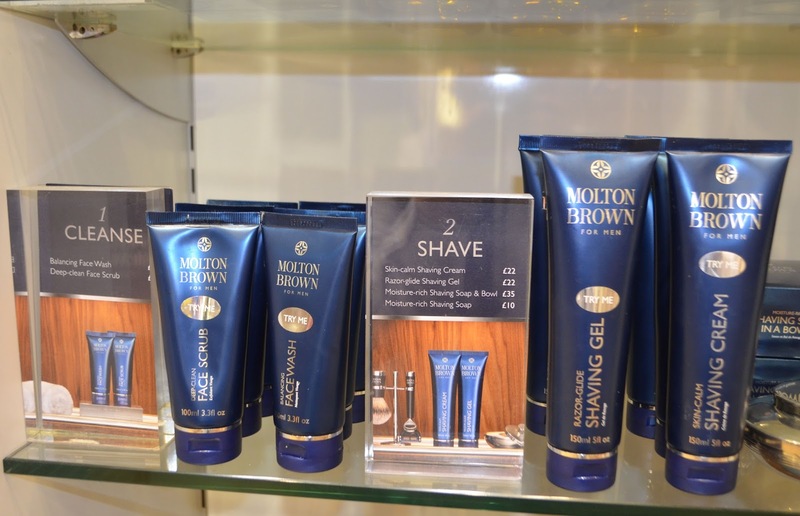 Anita and the team wanted to introduce me to the full men's collection available at Molton Brown and to look beyond what I thought I knew about the brand and its offering. 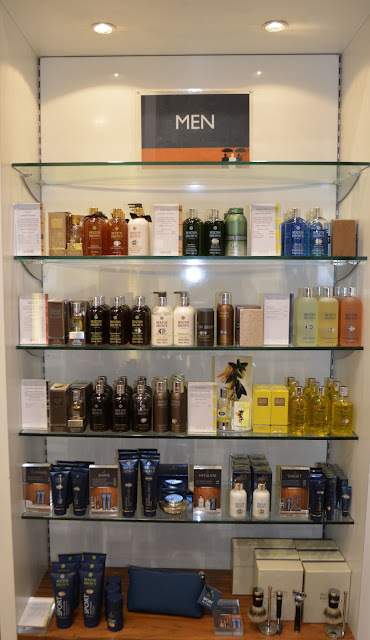 The newest addition to the men's collection is Tobacco Absolute. A sister product to the aforementioned Black Peppercorn, Tobacco Absolute is a little lighter and fresher, perfect for a spring change. Along with these 2 feature products, Molton Brown also offers a complete men's grooming regime with a structured, step-by-step series of products. Their men's collection (handily broken down into 4 distinct groups) includes face wash, scrub, shaving solutions, moisturisers and eye serum. Mix and match these products depending on your skin needs (I obviously skipped #2 as I don't shave) and combine them to create your own facial formula. Caislin took me through the men's range, focusing on the face scrub and moisturisers. 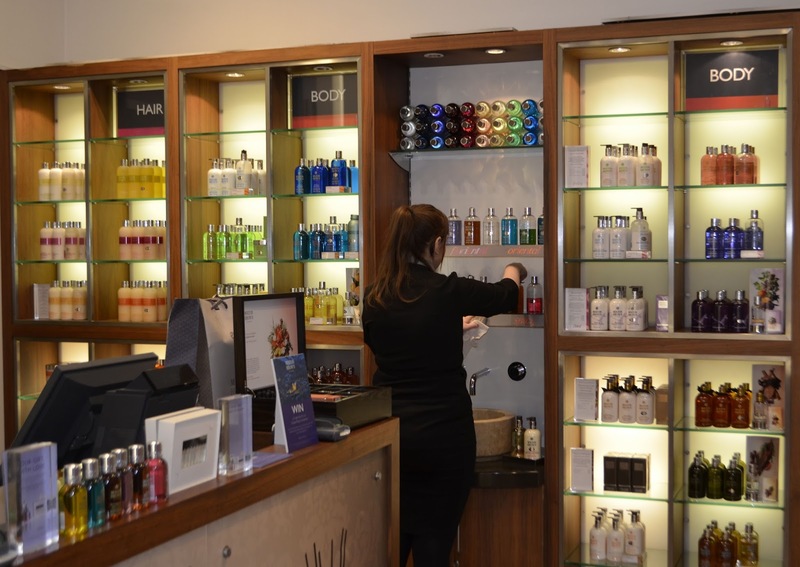 As they had thoughtfully read my blog before my visit, they were able to advise on the best products for me; specifically the Deep-Clean Face Scrub and the Ultra Light Baji Ji Hydrator moisturiser. 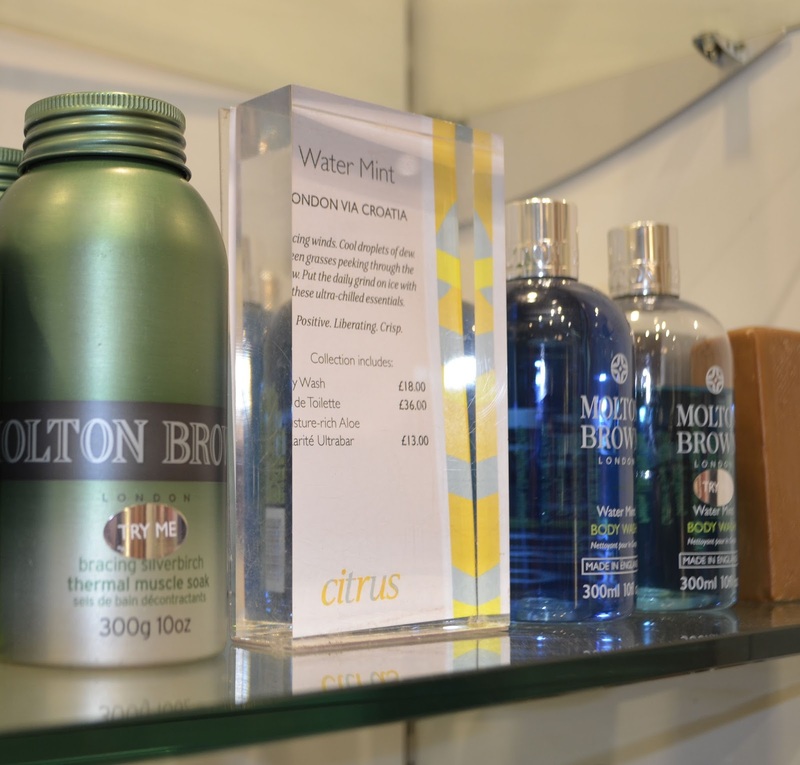 As I suffer from greasy patches, the scrub will help reduce and remove greasy build-up while the moisturiser has a mattifying effect to reduce shine and keep my skin hydrated. 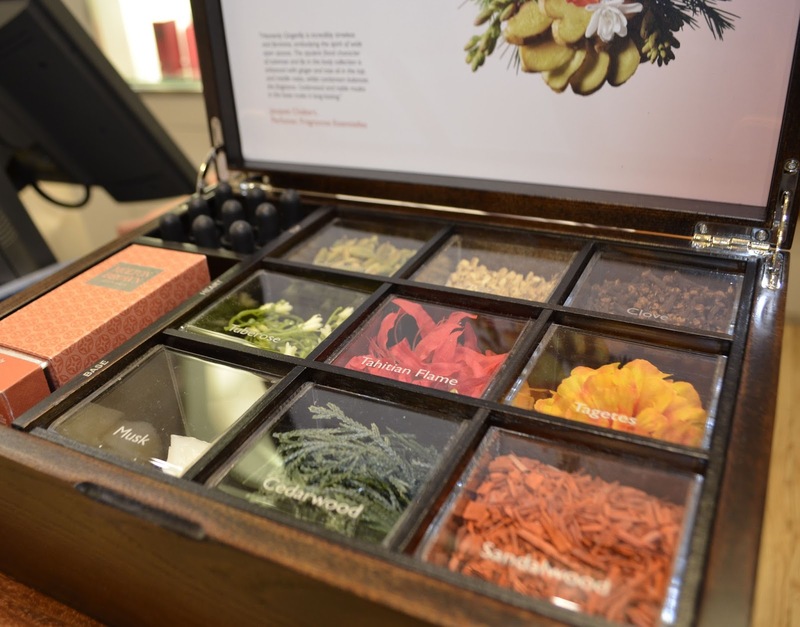 One of the interesting features in-store is the apothecary-style scent profile box. 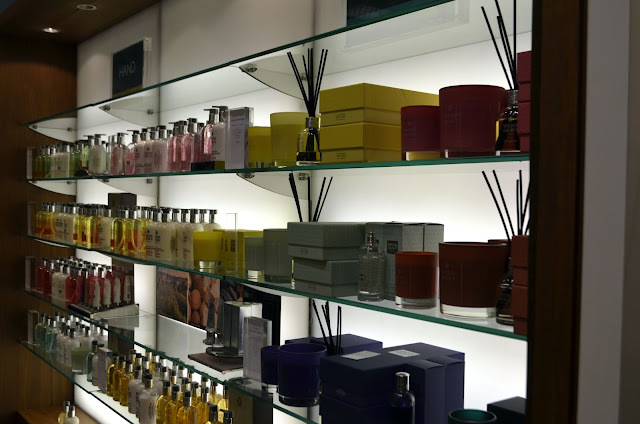 Each product can be broken down into its component base notes and fragrances and customers can sample each as a separate entity. 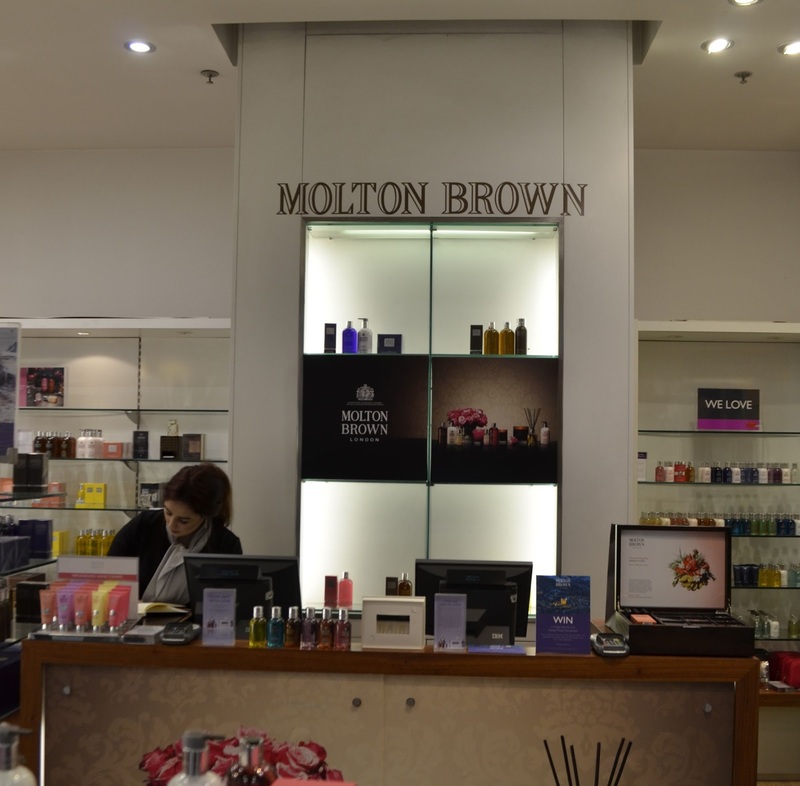 In addition to their famous skin, hair and beauty products, Molton Brown also offer an extensive home fragrance collection with scented reed diffusers and candles. Building on this inspiration, Molton Brown is offering an amazing 3 night getaway for 2 to the spectacular Gstaad Palace in Switzerland. Just in time for Valentine's Day! Click this link to enter the draw. Thank you again to Anita and her team for the kind invitation. 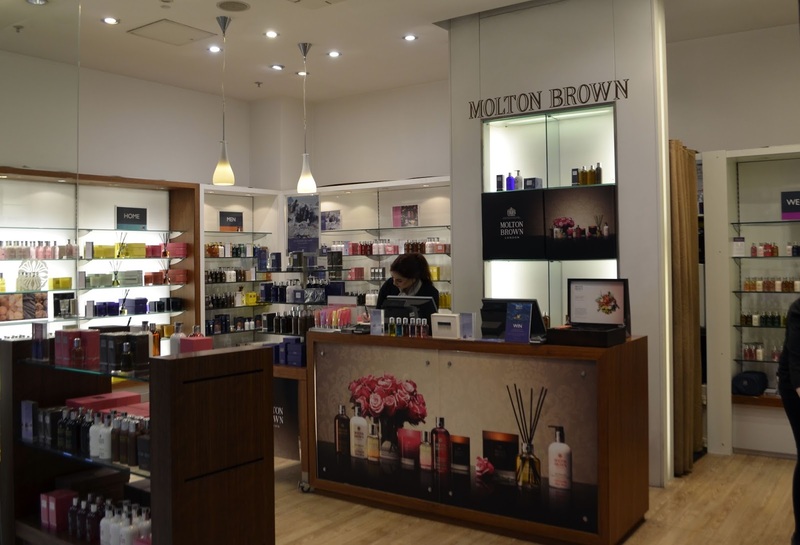 Call into Molton Brown Forestside for helpful advice and free consultations. Contents of the exquisite goody bag I was kindly given, including the Hydrator moisturiser. 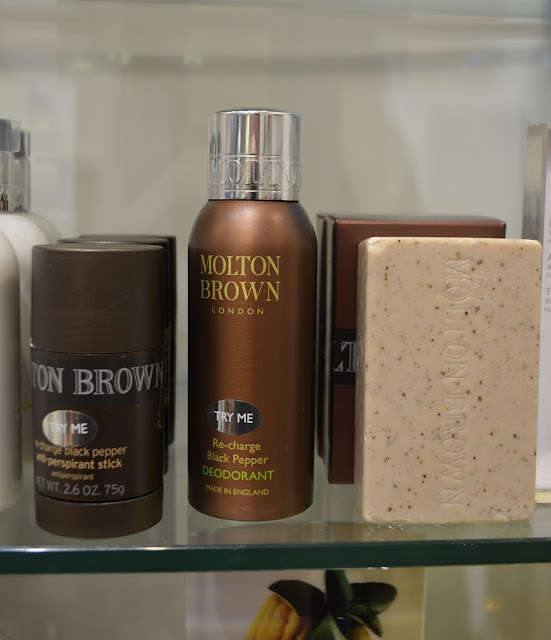 Black Pepper anti-perspirant and a handy travel-size bottle of Tobacco Absolute body wash. Just the thing to take on my next escape!